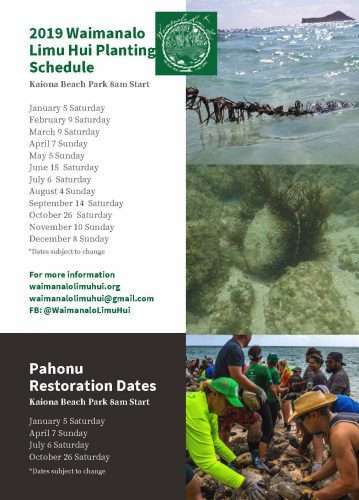 Help remove sand in the anchialine pool and bring back the ʻōpae ʻula! 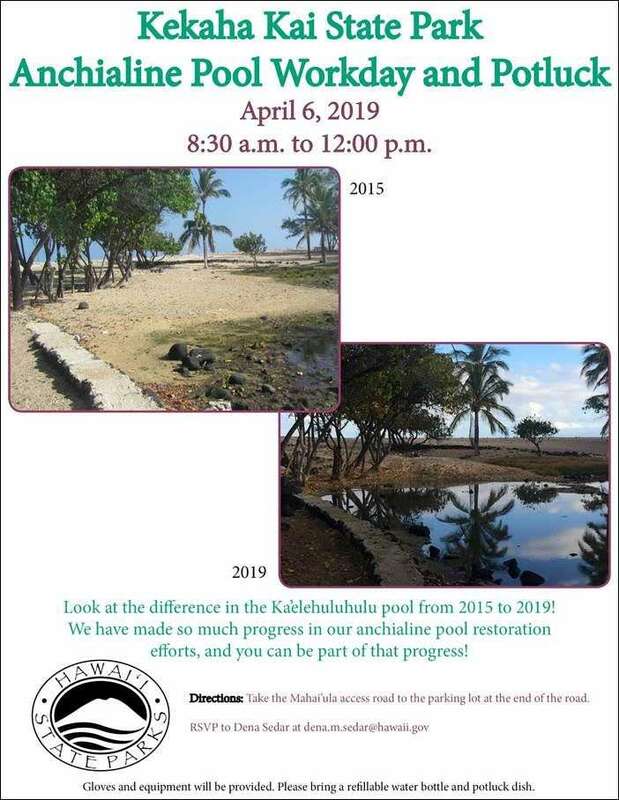 Please join Hawai’i State Parks on April 6th as we continue to work on restoring the large anchialine pool at Ka’elehuluhulu Beach in the Mahai’ula section of Kekaha Kai State Park. We are making such great progress thanks to all the hard work from volunteers! The workday is from 8:30 a.m. to 12:00 p.m. Please bring a potluck dish to share after the work is done. Snacks and water will be provided, please bring a reusable water bottle. Gloves and equipment will be provided. Directions: Take the access road to Mahaiʻula to the parking lot at the end of the road. The road has been improved and is now accessible to all types of cars.